I was lucky enough to win the Macadamia Deep Repair Hair Masque in Laura's Christmas giveaway over on her blog, Liparazzi. I've been using this once a week for about a month now and thought it was time I shared how I've been getting on with it. Firstly, I really like the packaging, a deep olive-green plastic jar with a screw cap. It feels luxurious and expensive. 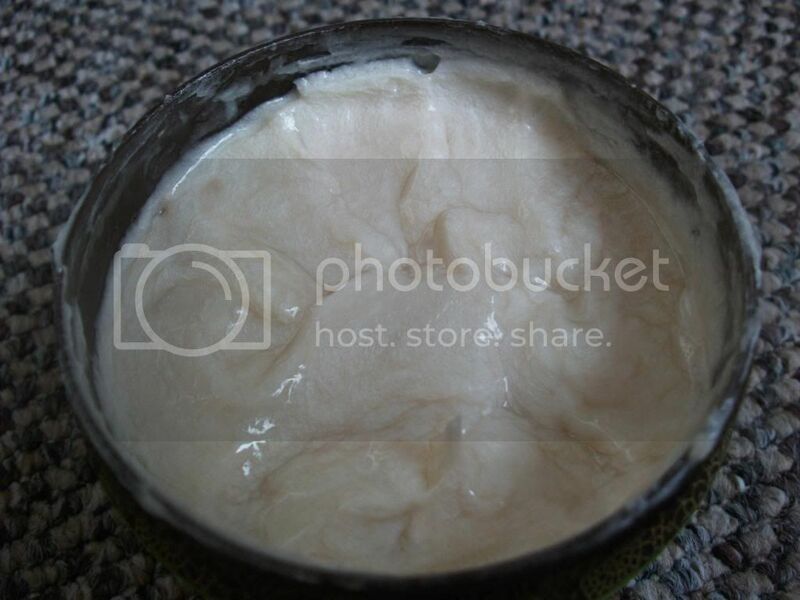 When you unscrew the lid, you see a creamy substance, a pearlescent light peach in colour, which looks as though it will leave your hair soft and shimmering. According to Macadamia's website, "Macadamia Natural Oil's Deep Repair Masque revitalises dry, damaged hair like you have never experienced before. Using a combination of macadamia and argan oil infused with tea tree oil, chamomile oil, aloe and algae extracts this masque will rejuvenate and rebuild the hair, leaving it deeply nourished for improved elasticity and shine with long-lasting conditioning benefits." Following the instructions, I apply this after my normal shampoo and conditioner, and leave to work its magic for seven minutes (anyone else think this is oddly specific?!) before rinsing well and drying as usual. The first couple of times I used this, I was severely underwhelmed. Now, I think I hadn't applied enough of the masque and I hadn't left it on for long enough. If I apply it quite thickly and leave it for a good ten to fifteen minutes, before rinsing until I can rinse no more, my hair is left gorgeously soft and smooth. My hair is notoriously knotty, but after using the Macadamia masque, it is shiny and tangle-free for at least a couple of days, which is amazing. I haven't found that it makes my hair greasy or weighs it down, which is a big deal for me with my hair being as long and thick as it is. 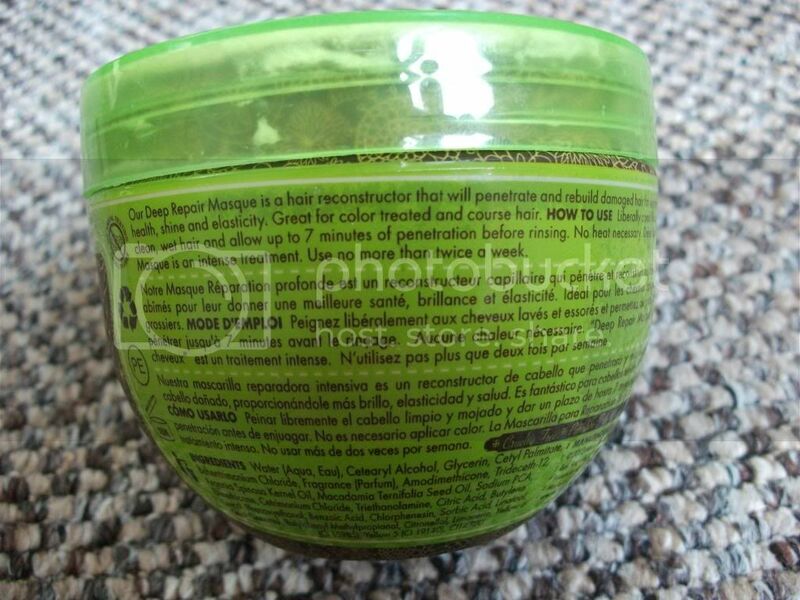 Macadamia Deep Repair Hair Masque is available from a range of retailers, the cheapest I've found it is from Amazon priced at £12.16 for 250ml. Although it's quite expensive, I think a jar will last me a good few months, and for the difference it makes to my hair, I think it's worth it. 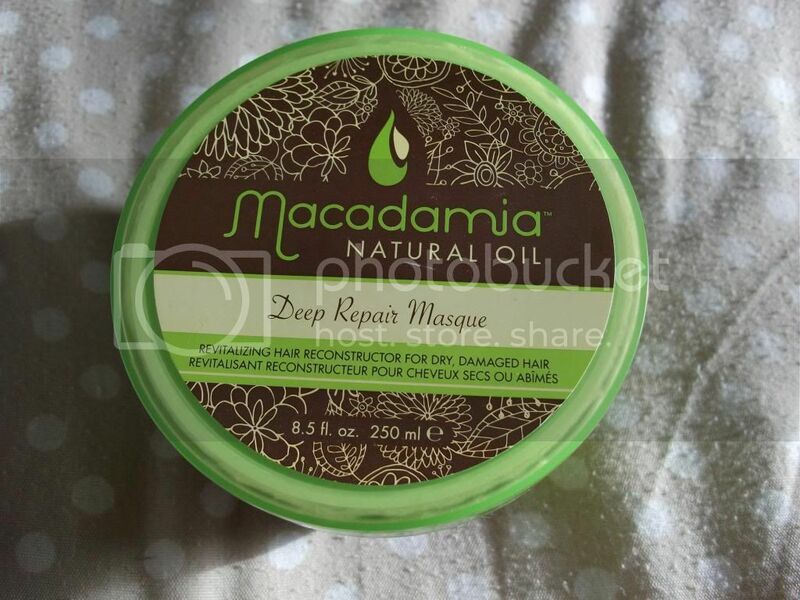 Have you tried Macadamia's Deep Repair Hair Masque? Would you like to? If you struggle at all with dry, damaged hair, or are prone to frizz and tangles, I really recommend giving it a go.